Do real programmers ‘like’ Facebook? 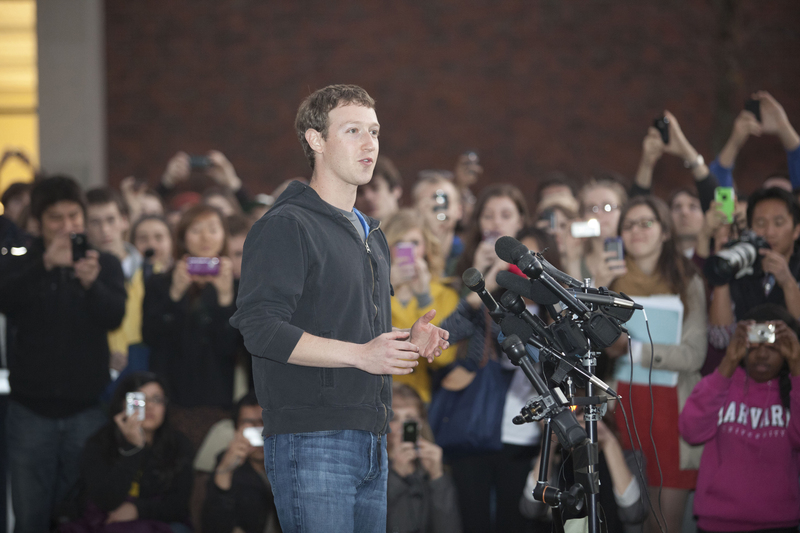 Do software programmers care about Facebook? More specifically, do they use Facebook — which claims 845 million active users — as a resource to collaborate with their peers and keep up with what’s going on in the programming universe? The answer, according to an informal poll on Hacker News,is no. Programmers like to visit Facebook but they don’t want to live or work there. When asked whether programmers used Facebook for work-related research, Facebook got the thumbs-down 660 times. It got 16 affirmative votes. The discussion thread is worth a read. Many of those weighing in said they check out Facebook, but for nothing work-related. Do I use Facebook? Yes. A lot. Do I use Facebook to look for programming stuff? Hell no. Facebook’s only going to be as good as the people you’ve added on it – in my case, friends, family, and other people I know personally. With a couple of exceptions none of my friends are programmers. If I want to see what programmers and developers are up to then I’ll go on G+, since most of the people I’ve seen on there are tech bloggers. Other commenters said they turn to Github, Twitter and Google+(s GOOG) to keep track of what’s going on in the programming universe. No: No real programmer would show his face there. Given Facebook’s prominence in the tech world of late, these results surprised me. Facebook clearly has techie cred. A good chunk of the “hacks” at the recent Boston Angelhack hackathon focused on Facebook applications. And, many, many companies want to mine Facebook data to gauge consumer sentiment about their products and services. The fact that the programmers responding use Facebook for recreation but not for work highlights the Facebook dichotomy. On the one hand, Facebook under co-founder and CEO Mark Zuckerberg has become a prodigious tech power. Maintaining infrastructure to handle all those users and the petabytes of their digital paraphernalia is no small feat. Facebook is building state of the art data centers that rival those assembled by Google, Amazon(s amzn) and Microsoft(s msft). Facebook, don’t forget, drove the Open Compute Project that aims to open source design of data center hardware. On the other, the Facebook site is seen as a frivolous place for people to gossip and play Words with Friends. It turns out that the programmers polled would just as soon keep Facebook fun. Photo courtesy of Rose Lincoln, Harvard Public Affairs & Communications. Personally I would liken Facebook to products from Apple. Both are technically advanced in that it took the significant efforts of very smart technical people to create and maintain them. However, like almost everything Apple makes, Facebook is targeted squarely at the general, non-technical user. Thus just as “real” software engineers prefer Linux, or even Windows systems to MacOS, it would seem not to be much of a surprise that we also don’t care much for Facebook. One specific observation I have that turns me off – and I am sure my position as a software engineer influences this preference – are the facts that Facebook gives the user very little control, and it’s behavior is non-deterministic. Whenever I visit Facebook, I see a different subset of the activity from my connections – and that subset is seemingly chosen at random. Lord knows that I’ve tried more than once to adjust my settings so FB doesn’t ever hide my brother’s infrequent updates, or so that it does hide the almost hourly updates from the Spam factory I “liked” to get some coupon once. Whatever I tell it to do, though, Facebook does what it wants. I’m no programmer but I ty to avoid facebook as much as possible. Just because facebook is technically complicated doesn’t mean that tech people should naturally be interested in it. Part of the facebook design ideology actually alienates techies. @physical would love to know what it is that puts them off.